Die Aluminium 29mm Gabel hat einen Durchmesser von 29mm und besteht zu 100% aus hochwertigem T8 Aluminium. Durch die herkömmliche Krümmung eignet sich die Gabel perfekt für jede Art von Segel. Die Gabel passt sowohl auf RDM sowie auf SDM Masten. Using high quality T8 Aluminium 29-mm. 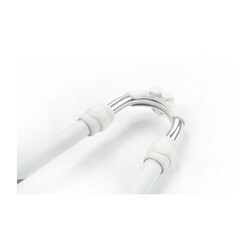 diameter tubes, these booms are ideal for any type of sailing. All models keep a traditional curve for everyday freesailing fun at an amazing price! 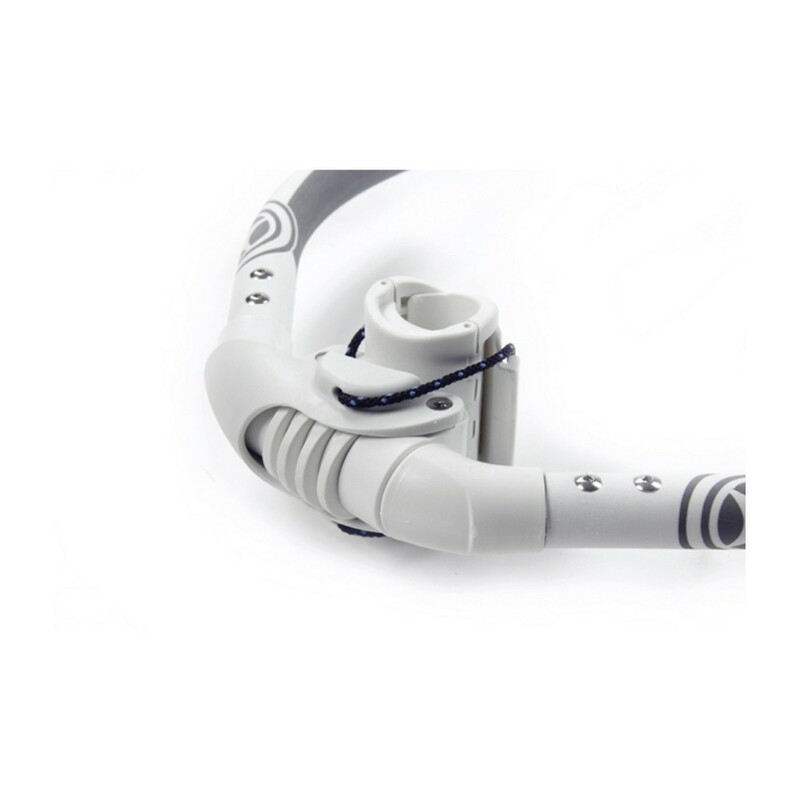 The boomhead adapts both to RDM and SDM masts. The choice between aluminium and carbon is mostly budget related. Aluminium booms generally retail between 100€ and 300€, drastically less than carbon booms.Aluminium booms are available in different constructions and configurations, all using the same grade T8 aluminium alloy. A stronger, monocoque shaped boom body provides stiffness and durability. The Heavy Duty (HD) monocoque body has increased tube wall thickness to get even closer to the stability found in carbon booms. Additionally, our booms are available as arms-only to be retrofitted to other boom heads.Carbon booms range between 500€ and 1000€. They are much stiffer than aluminium booms, so when you are sailing they deliver instant responsiveness to your rig, and help to maintain better sail profile leading to performance gains. 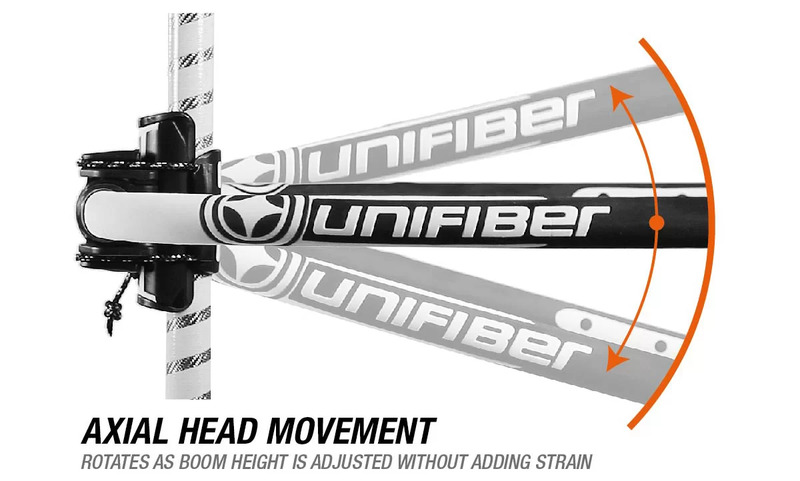 Unifiber produces a Limited Edition (LE) carbon boom, that uses a special composite lay-up technique that optimizes cost of production, resulting in a great price to quality ratio. The rest of the Unifiber line of carbon booms represents absolute top of the line, with similar shape and parts as LE booms but using the highest spec carbon tubes to ensure best possible performance.Boom stiffness is one of the most important performance indicators. The stiffer the boom, the less deformation of the sail profile. Especially in overpowered conditions stiffer booms provide better top end control and responsiveness. The diameter of the boom tubes impacts upon comfort and stiffness. Larger diameter booms are typically more stiff, resulting in improved performance. Many people with 'average' sized hands find the most comfortable boom tube diameter to be around 27/28mm, but this is a matter for personal preference. When using bigger sail sizes, typically around 6.8 and larger, it is sensible to consider a boom with a wider tail. Wide tail booms ensure the sail profile will not be disturbed when sailing with low outhaul tension, as is often the case in lighter wind conditions. In contrast, narrow tail booms - particularly if used with bigger sails - can touch and deform the sail profile, resulting in sub-optimal performance and potentially compromising sail durability. Traditional 'R' shaped boom accommodate deeper sail profiles, so are particularly relevant when considering larger sail sizes. 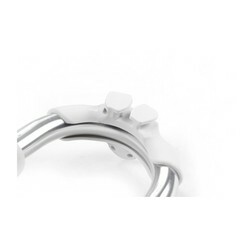 A disadvantage is that they require the mast (front) hand to have the wrist slightly bent. ‘C’ shape booms have ergonomic advantages since they allow the lead arm to take a more natural wrist position. This applies to straight line blasting, but can also make for more comfortable gybing and other manoeuvres too. When you are sailing in powered up conditions, the forces acting on your boom attempt to make it wider, and consequently shorter. A shorter boom allows the sail to balloon - which is exactly what you don't want when a big gust hits. That's why you want a stiff boom. Most booms are equipped with an axial moving boom head. A moving head is necessary because the angle between mast and boom is variable - depending upon the sail design, sailor's preferred boom height, and other factors. Accommodating for this variation in boom angle - by allowing axial movement - is very important because it prevents point loading between the mast and boom head. By evenly distributing the forces between mast and boom, the durability and reliability of both will be much increased. A well designed axially mobile boom head will also facilitate sail rigging and boom height adjustments. 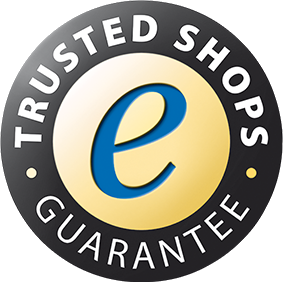 When buying a new boom check for mast diameter compatibility. Most booms will work with a Standard Diameter Mast (SDM), but might need an adapter to work with a Reduced Diameter Mast (RDM). Some boom heads can adapt to both RDM and SDM masts, without requiring a separate adapter. Other boom clamps don't naturally adapt to RDM mast sizes, but have removable adaptors to make this possible. 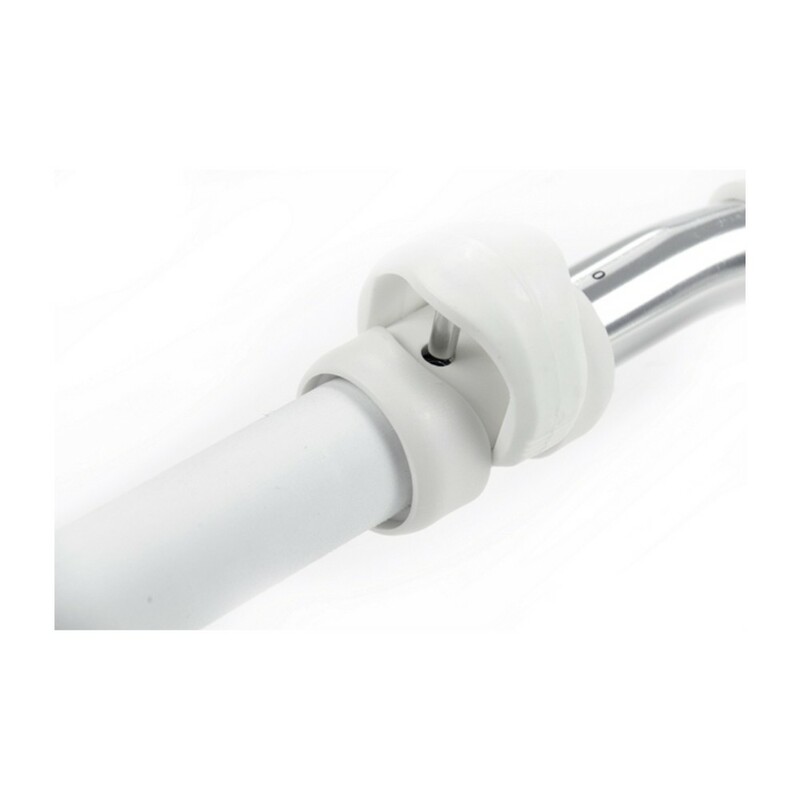 For booms that don't fit RDM and that don't include RDM adaptors, a collar type adaptor can be fitted to the mast instead, which brings the diameter up to SDM size. Most windsurf sails quote an outhaul setting range that corresponds to the boom length setting required. But do consider that there is slight variation in how the different sail manufacturers arrive at their recommended measurements, and the actual setting required will depends on conditions, boom height and other factors. When using a boom at the minimum or close to the minimum setting it will add a lot of stiffness, increasing the performance of your rig. When a boom is used near the limit of its extension range it will be less stiff. 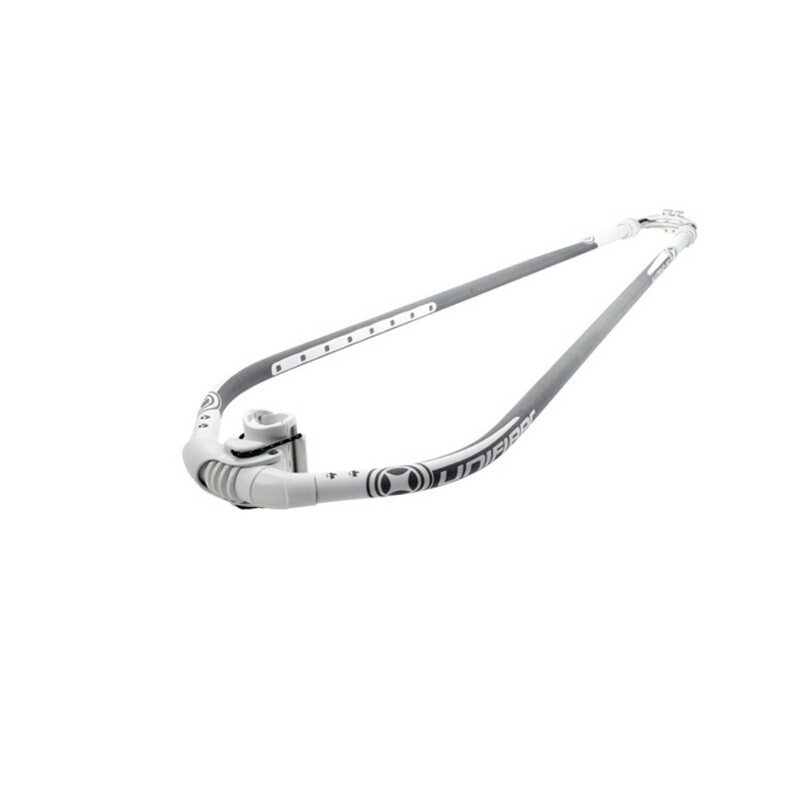 For this reason most Unifiber aluminium booms extend a maximum of 50cm, while the - inherently stiffer - Unifiber carbon booms can be extended up to 60cm. 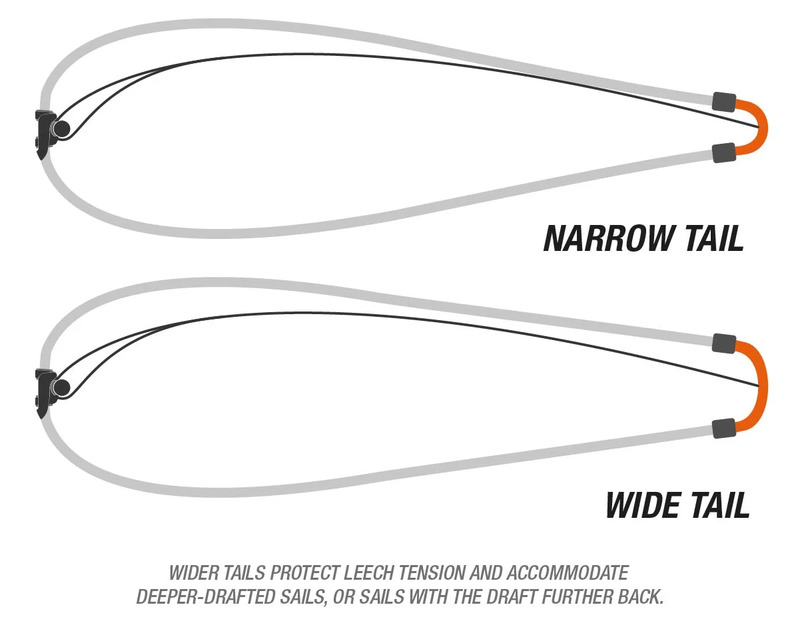 There are two main options for the boom tail: a wider diameter tail that goes outside the boom body, or a narrower diameter tail that goes inside. The tail inside option allows for the length adjustment lock to be fixed at the end of the boom body - which allows for simple operation. A disadvantage is that the tail itself - being of narrower diameter - is less stiff. The tail outside option requires a wider diameter boom tail, which adds to stiffness. A disadvantage of this system is that locating the holes for the length adjustment lock can sometimes be difficult. For shorter sized booms the tail outside option is not offered, as the tail would interfere with the back hand during normal sailing. 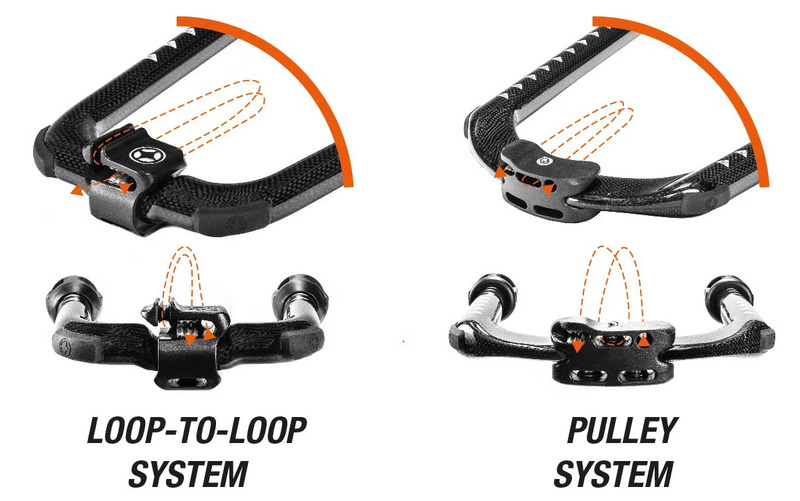 For quick rigging, the loop-loop-go (loop-to-loop) option is most convenient. This is the best option for medium-sized and smaller sails, and will help get you rigged and out on the water quickly! The pulley-option provides a solution for use on booms fitted with an adjustable outhaul system. This is a great feature for bigger sails and racing.